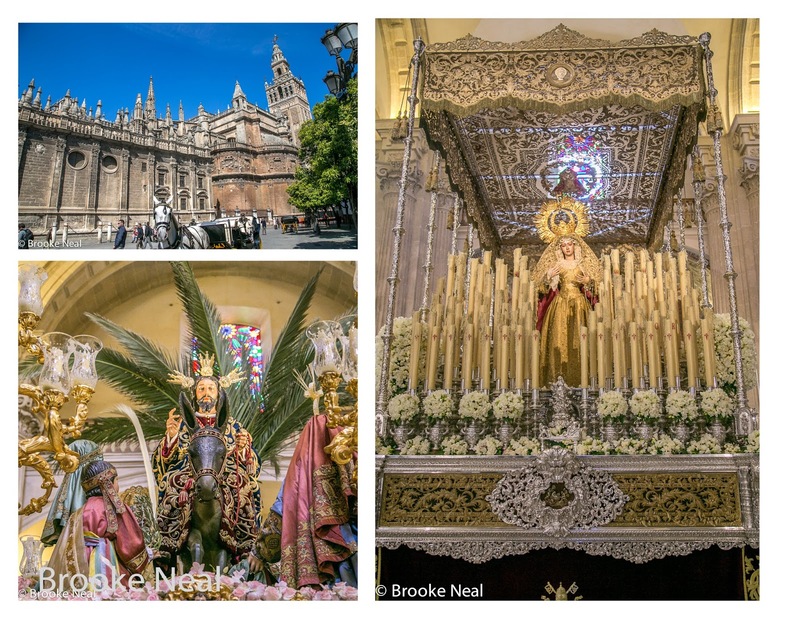 Seville was a chaotic mess during the Easter festivals of Semana Santa--streets were blocked off making it practically impossible to get anywhere efficiently and parking was a disaster, but we fell in love with the city anyhow. 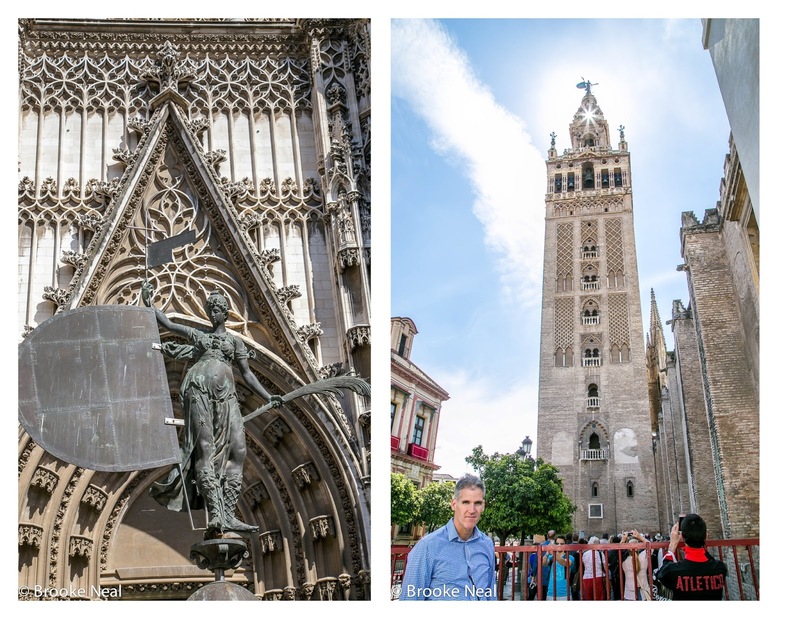 Seville is a vibrant city, home to the worlds largest Gothic Cathedral, beautiful Moorish architecture, friendly green spaces and hello, TAPAS! Two days are enough to hit the highlights, but honestly, I wish we would have spent more time there. 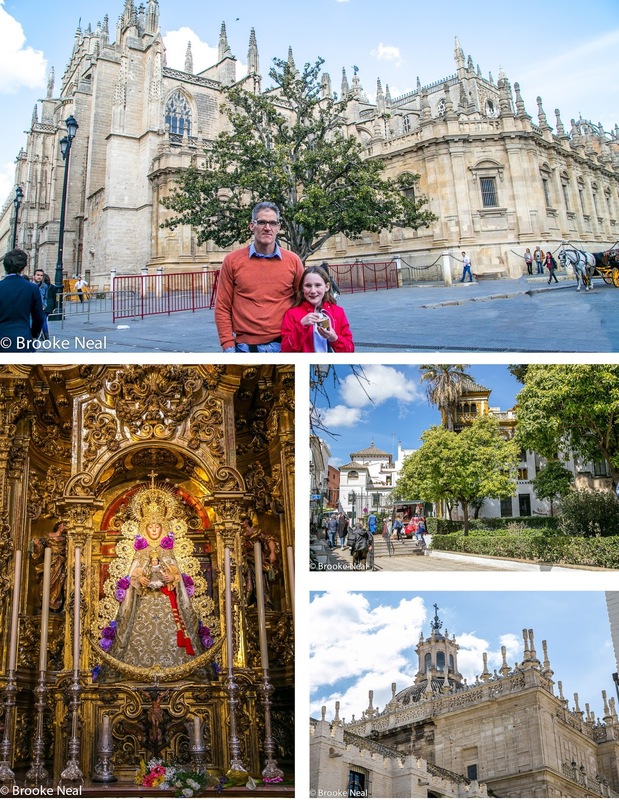 We hit all the major sites, but we didn't relax and Seville is a city begging to be enjoyed slowly. 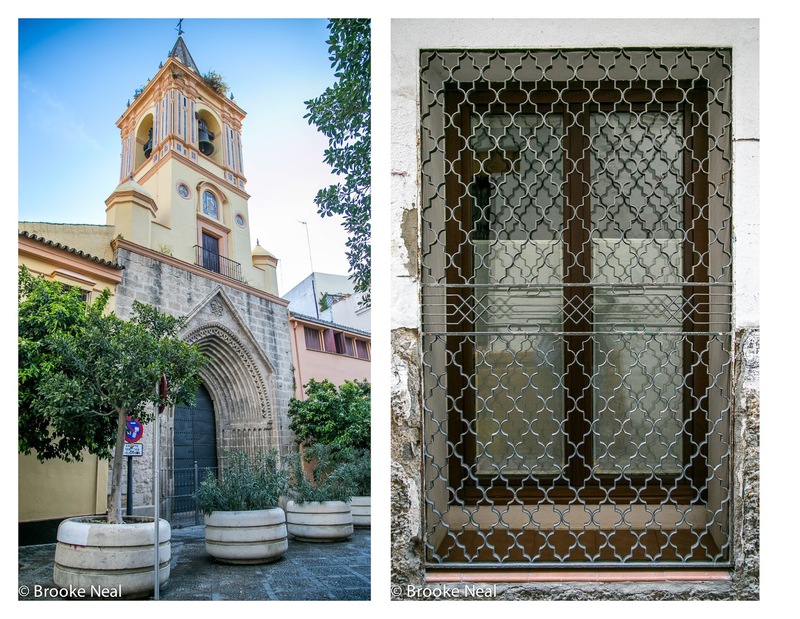 Seville is easily served by trains and once in the city, foot travel is the best way to get around. If you come into town with a car, as we did, parking is a bear so expect to leave your car parked during your stay, there won't be a need for it. Before visiting any sites, we like to take a walk around the city, to sort of get the lay of the land. We almost always follow a Rick Steves' walking tour and then prioritize what we'd like to go back to see. Since it was the busiest time to be in Spain, we encountered long lines just about every where and some of the short cuts to bypass those lines are not in practice during Semana Santa, so be prepared to wait. Also, Spaniards eat dinner late, like anywhere between 9-10pm is acceptable. We found that hitting the dinner scene around 8:30 usually meant we were able to snag a table without a reservation. Just as the crowds were coming in, we'd be paying our bill. I have one dinner recommendation; El Traga. This tapas restaurant is well reviewed on Trip Advisor with 4.5 stars and we concur--it was the best meal we had in Seville. The ingredients were fresh, the olives, the cheese, the pork lomo and other dishes--all delicious! I love seeing your adventures!! I'd love to do Spain one day! So crazy how late they eat dinner, too! Thank you! The advantage of living in a place like Saudi is you get to leave it often! Exquisite architecture with an interesting history. A city with a lot of photographic opportunities. You captured the sights well. I also love Seville. Your photos really brought back some great memories. Super views of the very distinctive architecture. So lovely! I need to visit asap. Thanks for the tapas recommendation. I love the tapas lifestyle.